Debe realizar reservaciones con al menos 5 minutos de adelanto en Casitas - The Ritz-Carlton Cancun. Casitas ofrece un ambiente único frente al mar, junto a las olas y bajo las estrellas, ofrece sabores frescos de mar y tierra directamente de la parrilla. Tradicionales palapas que se transforman en elegantes y acogedores espacios privados en la playa, ofreciendo la opción perfecta para una cena tranquila con amigos o una celebración memorable con esa persona especial. *Casitas individuales disponibles, $1,950mxn por reservación. Importante: para reservar una casita privada deje un mensaje en las notas o contacte directamente al restaurante. Por favor note que Casitas opera dependiendo las condiciones del clima. 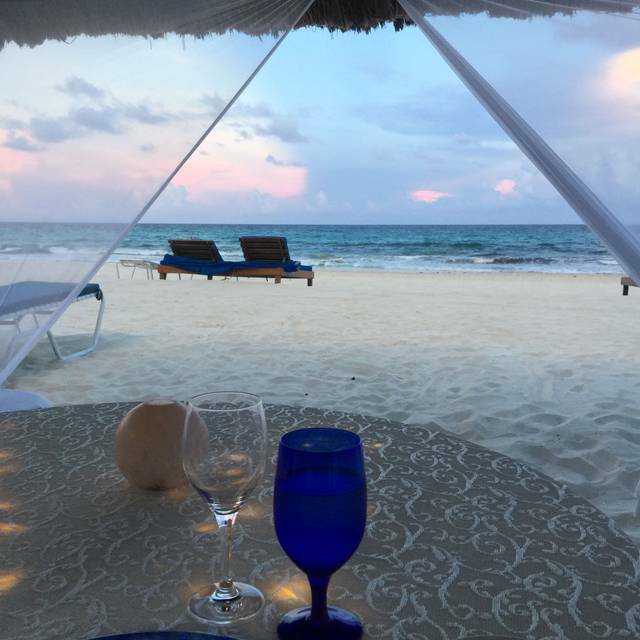 Dining in one of the private “casitas” (single table under a spacious white tent) along the beach (extra charge) was a truly extraordinary experience. The service was impeccable and our waiter (Moises) regaled us with amusing stories without ever seeming intrusive. The food was delicious — strongly suggest following the waiters’ suggestions as ours guided us to a superlative meal. Don’t miss going here — you won’t regret it. 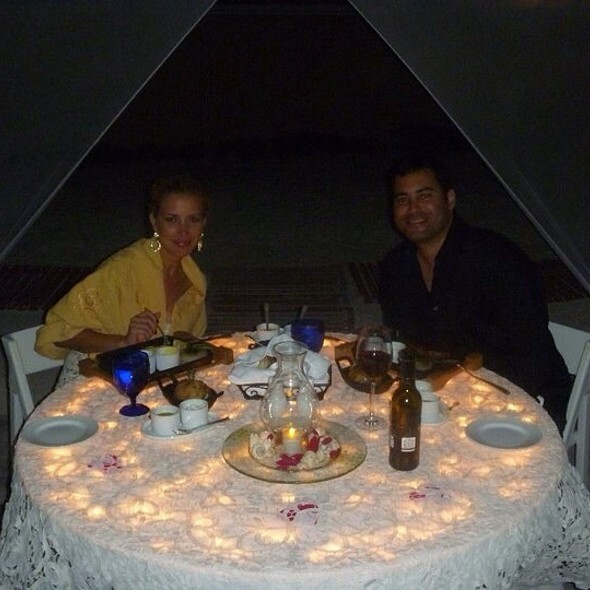 Lovely to sit by the beach in a private casita, enjoying great food, wine while enjoying a full moon. This was one of the most amazing experiences we have ever had. The food is delicious. The view was breath taking, Service is top notch. I happened to find the recommendation on Pinterest when researching Cancun, I will tell anyone going here to plan and make their reservation because it is totally worth every penny. We would absolutely recommend to anyone! We had a memorable romantic evening! Food and drinks were both very disappointing. Found this to be the case everywhere at the Ritz Carlton. The service and the incredible view was the saving grace. Perfect is the only word. I'd highly recommend this experience for anyone looking for a unique and special experience in Cancun! Amazing, every couple should experience this once in their lives. Service, food and view was terrific. Fantastic experience! We splurged for the beachside cabana and it was well worth it. The service was impeccable. Food was excellent. Would absolutely go back! We had a reservation at 7pm would recommend slightly earlier to catch the sun set. The setting by the sea is amazing! Only would suggest to have a deep training about the menu with their servers before pushing them to be on stage. That way, the experience would be 100% amazing for what you pay to reserve the private casita. You could tell ours was guessing ingredients about certain plates. This was our first visit to Casitas, and we really enjoyed it. We sat on the terrace, rather than a casita on the beach, and we’re very pleased with the beach view. We ordered the Fresh Market Seafood Platter, and it was beautifully presented. Real “Wow” factor. It says it is for 2 people, but could probably have served 4. Overall, we really enjoyed our visit and look forward to going back. 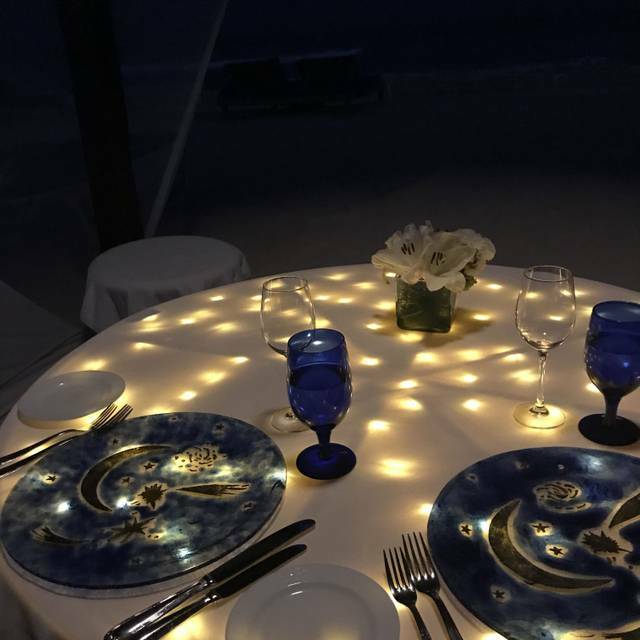 We had a magical dinner on the beach, under the stars! Moses, our waiter took amazing care of us and was incredible knowledgeable about regional specialties and tequilas. The food was 5 stars and eating with the ocean waves crashing in front is something I will never forgot. Beautiful evening. Our server (Moises) was outstanding. very nice ambiance, directly on the beach. We chose not to pay 2.000 Pesos and sat almost just as nice in the terrace, which was for free. Informal beach dinner, high quality, good price. To repeat for sure. Beautiful make sure you reserve the casitas room for $100 usd. It is worth it. Bring the kids they will live it too. Great restaurant with excellent views of the ocean. We really enjoyed the experience. Thank you! Everything was exceptional from start to finish! Servers were awesome and food was impeccable. Friends celebrating their 24th year’s anniversary. Everything was outstanding. Awesome food and the staff are extremely attentive. It was worth every penny! Wow! The casitas is amazing! Food,views and service are stellar. If you don’t have Moses as your server you don’t have the right person. Will make you laugh and teach you a little about the private cabanas. This is truly a spot to wow that significant other. There is a $100 set up fee but it’s clearly explained on every page. Thanks for a great time and thanks for making the Wife’s birthday a memorable one,gracias. Service and environment was amazing. Moses and Jaime were fantastic. Food was excellent. Highly recommend. We had a nice dinner here but were shocked by the $100 “set-up” fee, sprung on us when our bill arrived. Casitas at the Ritz Carlton was a truly divine and unique experience. We ate in one of the private cabanas next to the ocean. Wow...a once-in-a-lifetime experience! The food and service were also fantastic. I’ve found this place after searching for a restaurant in Cancun with great ambiance and with good food. I found them on Yelp and booked a reservation through Open Table a month advance to make sure I get a Casita here. We came on time and we were greeted by Moses he was our server. I must say, Moses made our experience amazing! Such a great person with great customer service! We felt royalty! I will never forget this experience a long with my GF. It was one of our best highlights being in Cancun! Price won’t be cheap, but it’s worth every penny to me. Casita rental is about $120 US dollars. Food was amazing I loved the sea food platter with crab legs, fresh oysters, and lobster. We also ordered the lobster bisque and Cesar Salad. It was so delicious! That platter we both shared and it will definitely stuff the heck out of you. We decided to order small meals afterwards. Overall, experience was incredible and the ambiance is something I can’t find back home in San Francisco eating at a romantic Casita with beautiful lighting that sets in front of a world class beach. 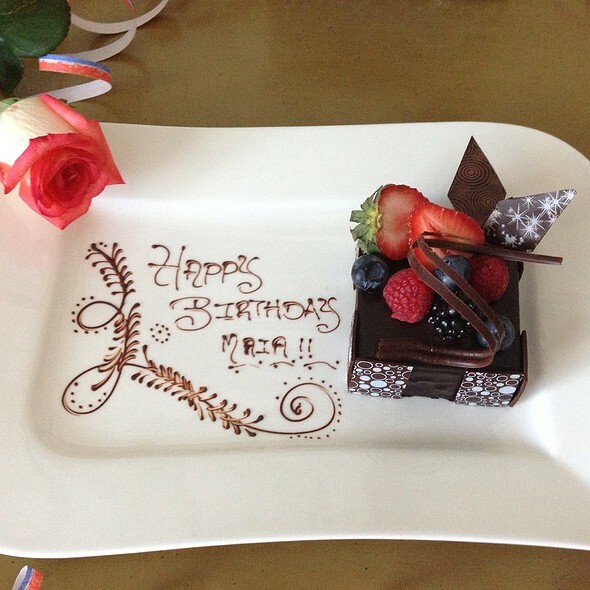 Must do if you want to surprise your special someone! 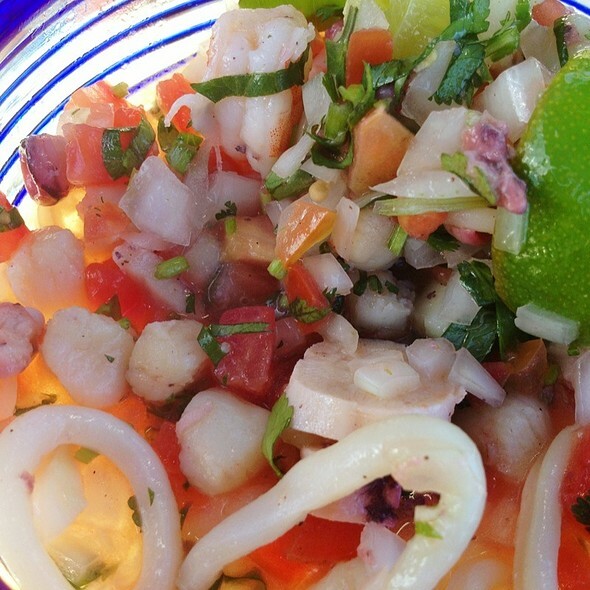 Casitas is a wonderful terrace restaurant overlooking the beach and the ocean. 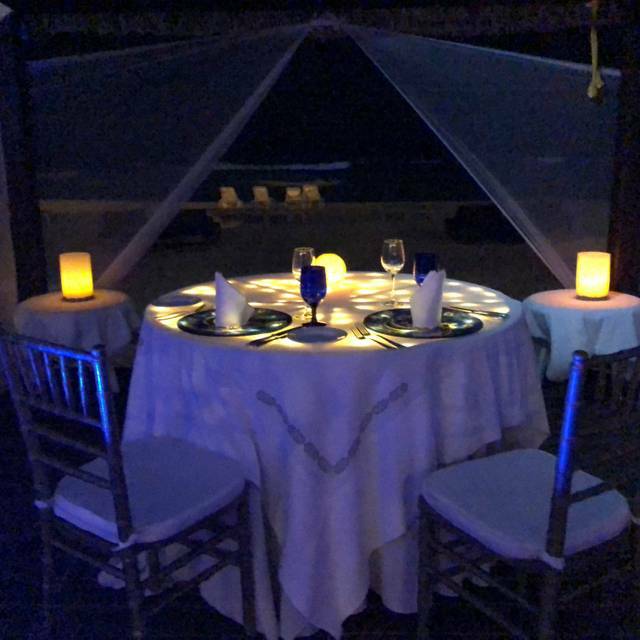 You also have the option to book a private dinner in a cabana right down on the sand, which looks very pretty and romantic. The service was impeccable, attentive without being intrusive. The wine list had a range of choices by the bottle, something for everyone. The cocktails are great, the Ritz Carlton Margarita and the Chili-Mango margarita were our faves. The food was outstanding. The lobster bisque was the best we’ve ever had - a rich creamy broth with generous chunks of lobster and croutons. 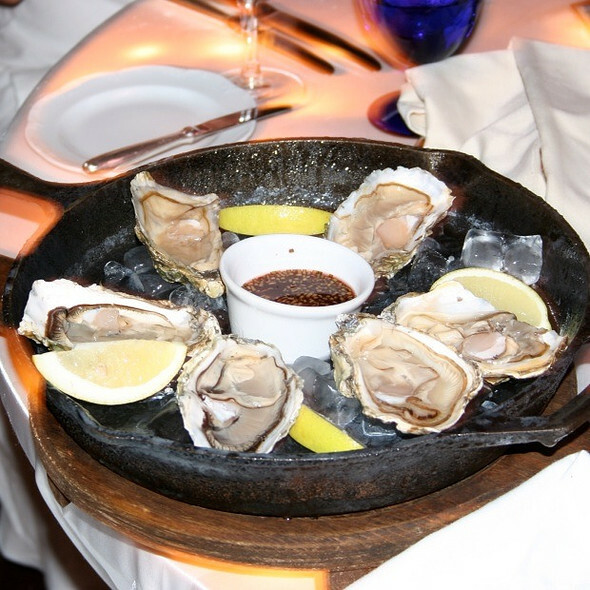 The seafood is fresh and perfectly prepared, and the portions are fairly generous. 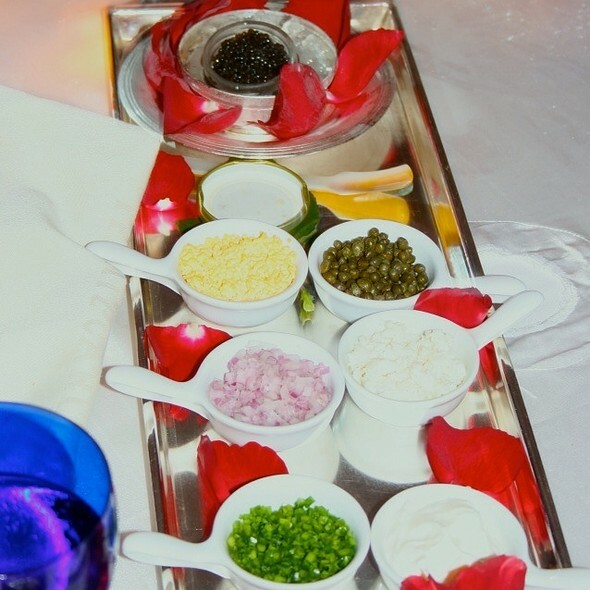 Thoughtful plating and delicious sauces. The prices are high (this is the Ritz, after all) but we felt they weren’t inappropriate for the beautiful ambiance, delicious food and great service. Our night was perfect! It was quiet, the food was amazing, the service was excellent and the ambiance couldn’t have been better. We will make sure to always visit Casitas when we travel to Cancun. The atmosphere makes up for a slight lack of food quality. While the food was prepared generally well, it was overall less creative than the hotel's other outlets provided during our stay. Also, ordered my steak medium rare and it was a heavy medium well at best. Service was top notch, though, and you can't beat the views. The casitas can be either fancy/upscale or casual--it's what you make it. We dressed up (resort dressy, not suit and tie) and walked down in bare feet. We felt right at home. Food and ambiance was great. Service was excellent. Upcharge of 100 USD was a bit much for the private cabana. Overall it was a good experience. Great Staff! Very good day for outdoor dining. Food was warm and the staff gave good suggestions based on our needs. The salmon was amazing and our server Moses went above and beyond to make my friend's birthday extra special. Get a private Casita; it is worth it the extra $$$. The service was amazing and the food stellar. Absolutely incredible experience! Lovely ocean view and ambiance! The food was amazing, Great hosts, great view !!! Would recommend this restaurant to people who come to Cancun!! Awesome dinner!!!! I also got got engaged!!! We have stayed at the Ritz Carlton several times and have always enjoyed lunch at this restaurant while at the beach. In the evening it becomes Casitas. We never had the opportunity to dine here in the evening until this visit. I will definitely be back. First the rolls: The corn Jalapeno rolls are out of this world. I had the Salmon with Béarnaise for dinner. It was so amazing and delicious that when we came back the next night I had the same thing. I had their Q berry salad for lunch and it too is quite delicious. Staff is very attentive.